OBEY Shadowplay Orange on cream Speckletone Paper. 18 x 24 inches. Signed by Shepard Fairey. Numbered edition of 350. SOLD OUT. 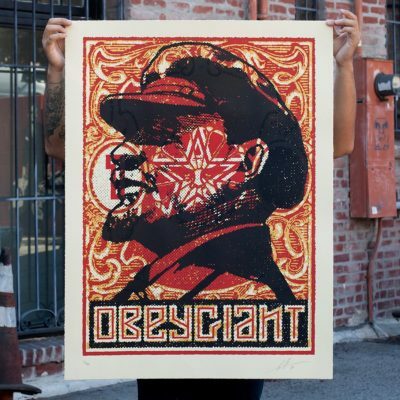 Available Tuesday, April 2nd @ 11 AM PDT at store.obeygiant.com/collections/prints. Max order: 1 per customer/household. *Orders are not guaranteed as demand is high and inventory is limited. * Multiple orders will be refunded. International customers are responsible for import fees due upon delivery.